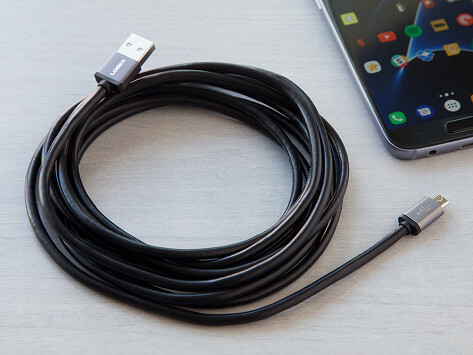 Extra-long and extra-strong, this steel charging cable has an exoskeleton that protects it from damage and makes it virtually indestructible. It also uses special coil technology to minimize pressure where cables usually fray. Works as promised so far; no kinks or freying! I don’t know why someone didn’t think of a plug like this years ago! Logiix builds tough (and extra-long) charging cables using special coil technology to minimize pressure where cables usually fray. Their five-foot-long cable has a steel exoskeleton that doubles as protective armor from the daily wear and tear, and there’s a ten-foot-long version, too, so you can comfortably use your device, even if you’re far away from the outlet. (Think: sitting on the couch, lying in bed, or even from the backseat of a car). 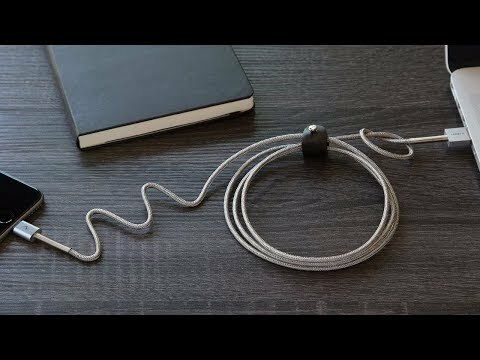 Designed to last and also stay untangled, these cables survive the day-to-day gracefully.